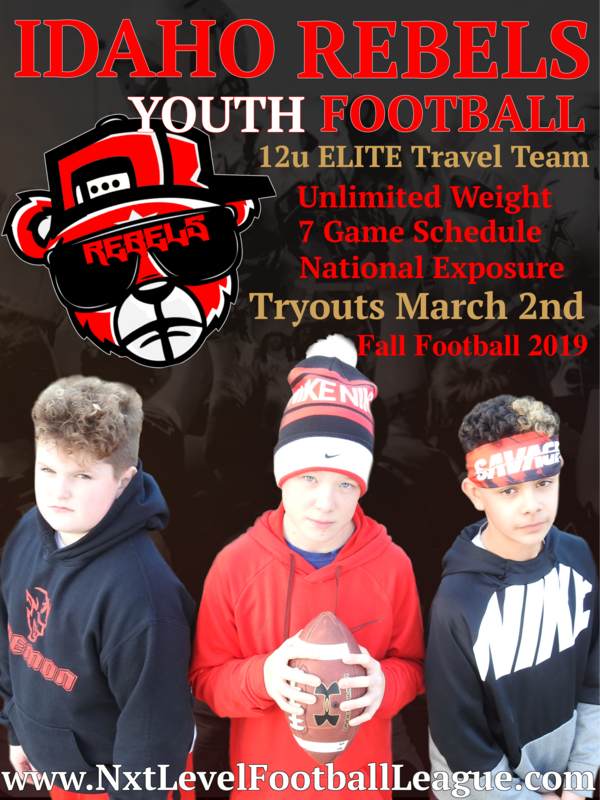 NXT Level Football League would like to announce the start of our 12u ELITE FALL TRAVEL FOOTBALL TEAM the Idaho Rebels! The Idaho Rebels will be the first FALL TRAVEL FOOTBALL TEAM in the Treasure Valley looking to take our athletes to the NXT LEVEL! All athletes from Boise, Meridian, Kuna, Nampa, Caldwell and all surrounding areas are welcome to tryout. 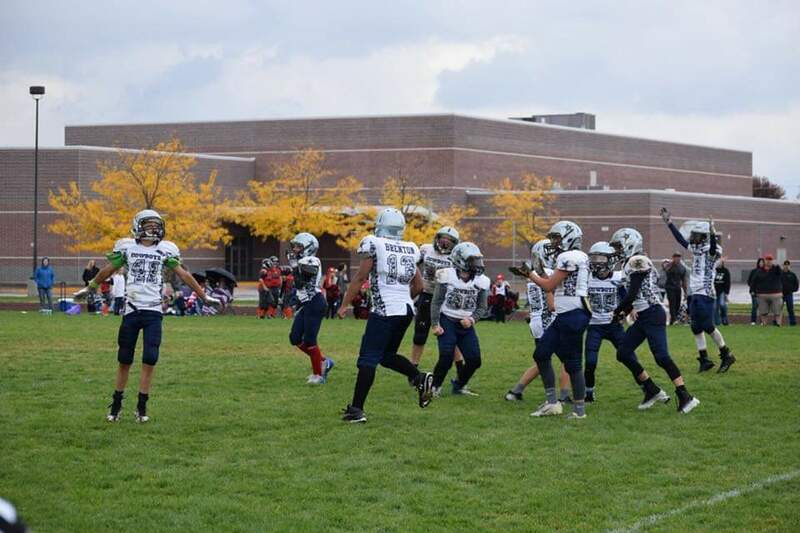 Tryouts will be held at Sawtooth Middle School on March 2nd, check-in time will be at 10 a.m. Places we may travel Washington, Utah, Eastern Idaho, Las Vegas!!! NXT Level Football League was established in 2015. It was founded by Vincent, a California native, who has now resided in the Treasure Valley for almost 15 years with his wife and 3 sons. 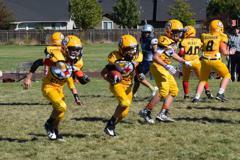 NXT Level Football League was inspired by some of the top youth football leagues in the nation. 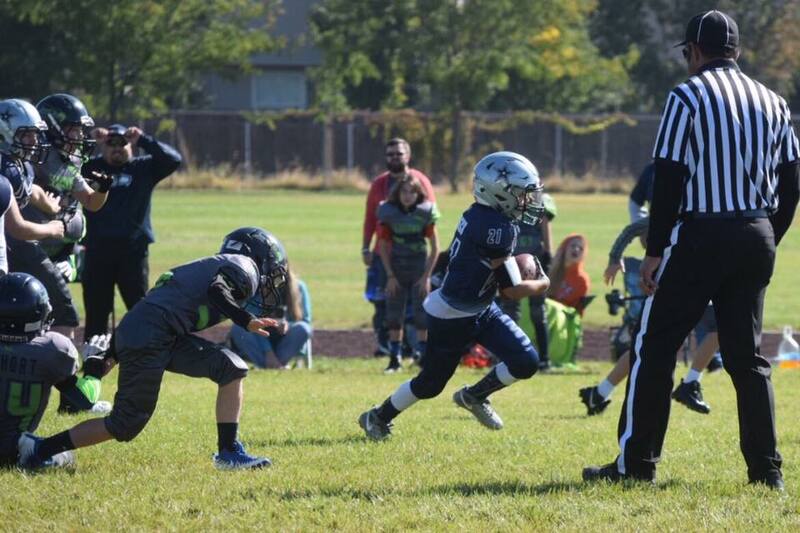 This inspired NXT Level Football League to want to share that same football experience with our youth in the Treasure Valley. 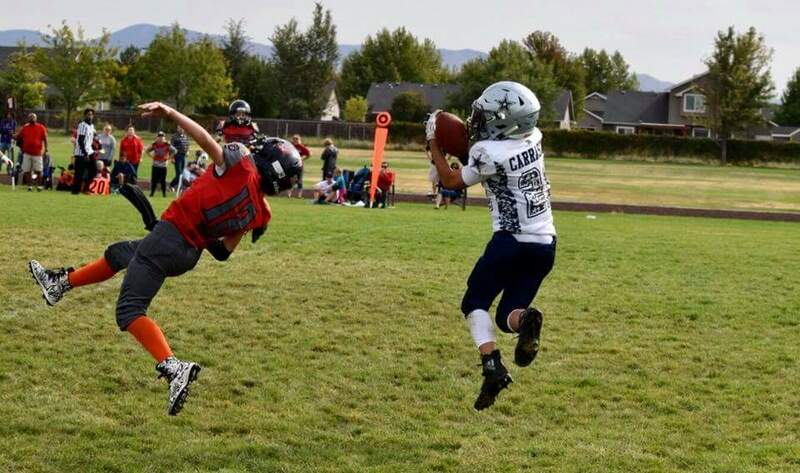 NXT Level Football League wants to help bring the highest level of competition to the state of Idaho. NXT Level Football League excepts a maximum of 250 football players to maintain a quality experience for each team, family, and player! We believe in QUALITY over quantity! 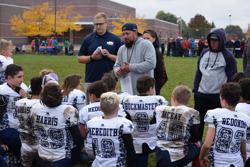 NXT Level Football League only plays one game at a time on Saturdays to personalize the gameday experience for each team! PLUS, this helps maintain very low traffic and easy parking! NXT Level Football League provides a custom and unique jersey that the athletes get to keep at the end of the season! NXT Level Football League strives to support our country by the playing of our nation's National Anthem before every game! NXT Level Football League provides awesome entertainment by playing HYPE music during warm ups, between kick offs, during time outs and at halftime. NXT Level Football League loves to support its cheerleaders during their halftime performance to show team spirit each game. 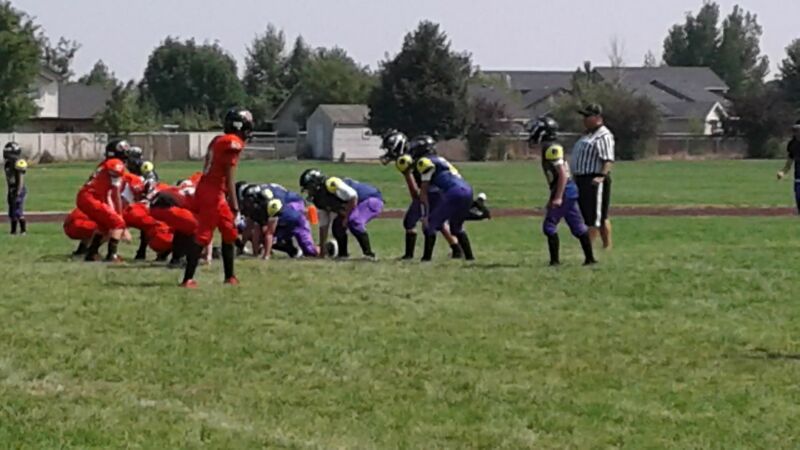 NXT Level Football League will travel to Idaho Falls for at least one game in a season. 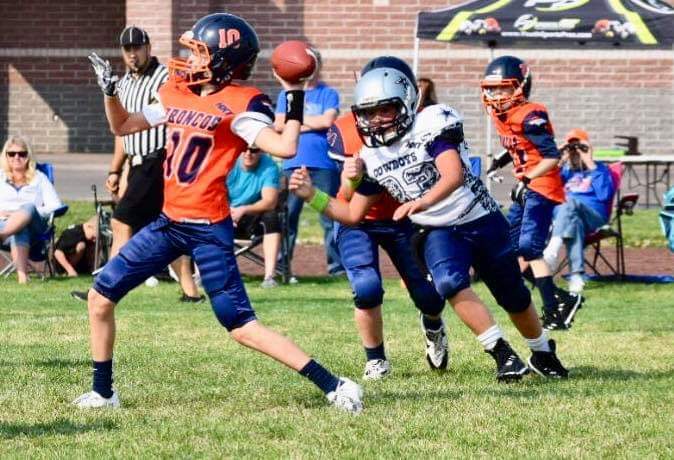 NXT Level Football League will provide a COMPETITIVE football experience and teams may hold tryouts to fulfill there roster. 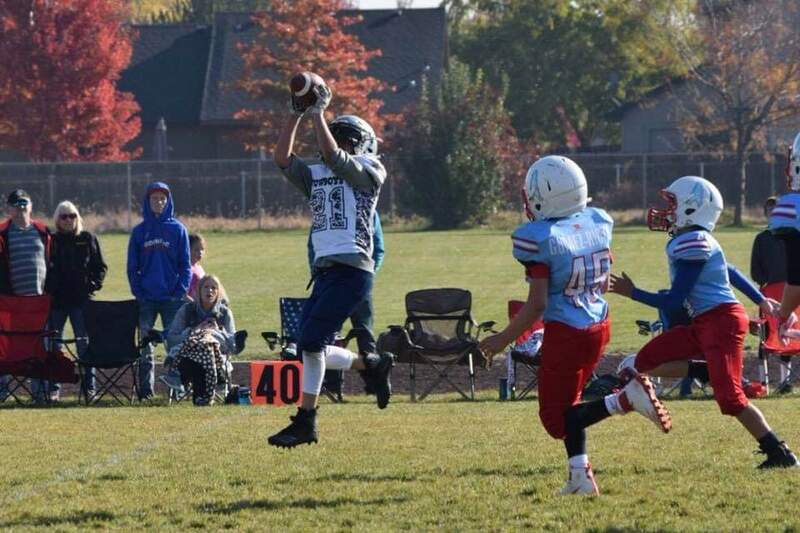 NXT Level Football will have 6 to 7 regular season games leading to playoff games followed by an end championship game in which the winning team will receive trophies! 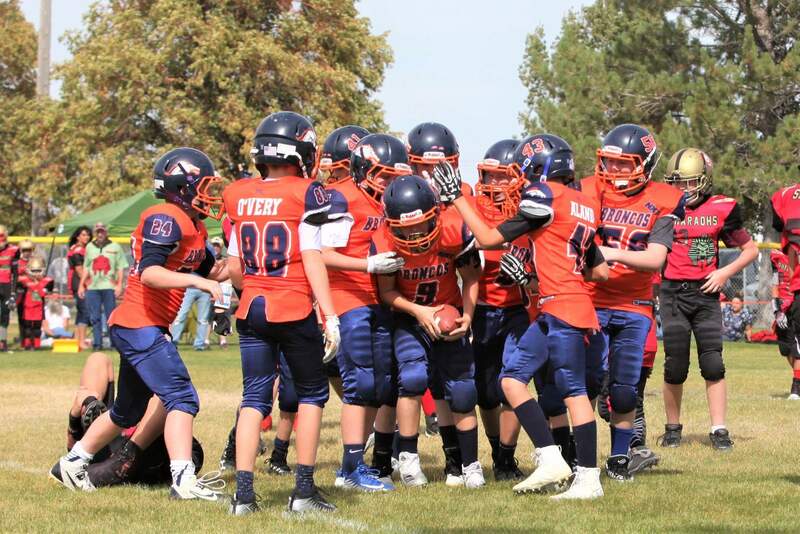 Thank you for choosing NXT Level Football League for your athletes football and cheerleading experience! Eagle Tire Pros is a full service Tire and Auto Service outlet located at 2948 E. State Street in Eagle Idaho, where highway 44 and 55 meet. Some nearby landmarks in the same shopping center are Winco, Home Depot, and Northwest Pets, along with the newly opened Epic Car Wash. Our services include Tires, Alignments, Oil Changes, Brake Services, Shocks, Struts. and most any vehicle repairs from the mirrors to the ground. For quotes or general information about your car call us and ask for Mark or Jason at (208) 939-4335. RME is a second-generation family owned and operated electrical contracting firm in Boise, Idaho with a branch office in Seattle, Washington and Salt Lake City, Utah. Since 1978 RME has set the standard for electrical construction, electrical service and maintenance. Our customer-centric approach is second to none as is our expertise and enthusiasm for what we do. ©2019 NXT Level Football League / SportsEngine. All Rights Reserved.